Jermaine Waller was on track for an athletic scholarship in high school when a sports injury landed him on the sidelines. Believing college was no longer an option, he dropped out of school to work full-time, but quickly realized he couldn’t advance in his career without a diploma. That’s when Jermaine enrolled at The Excel Center, Goodwill's high school for adults, eventually earning a high school diploma. Upon graduation, he accepted a second job at a Goodwill retail store. He also received a Pharmacy Technician Certification, and through his work with TalentSource™, Goodwill’s job placement team, accepted a higher-wage position at Express Scripts. Jermaine continued to take classes at Lincoln Tech that were funded, in part, with a scholarship from Goodwill. In 2016, he earned an associate’s degree in business management along with a Collision Repair Certification. 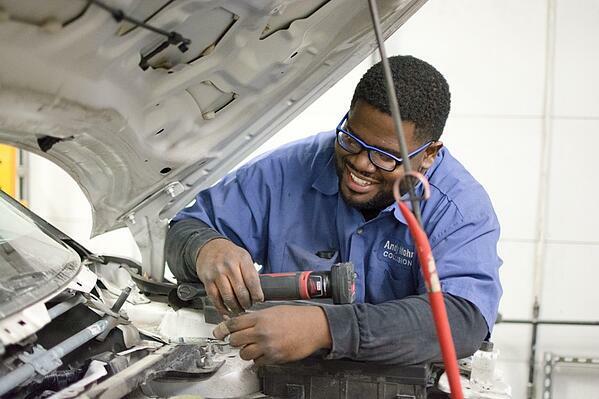 He is now employed at Andy Mohr as an Auto Body Technician, doing work that he genuinely enjoys. 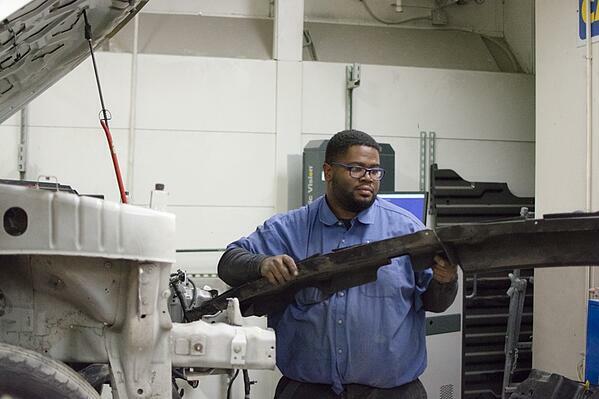 “I’m an artist, and my role at Andy Mohr enables me to apply that creativity to my professional career,” Jermaine said.